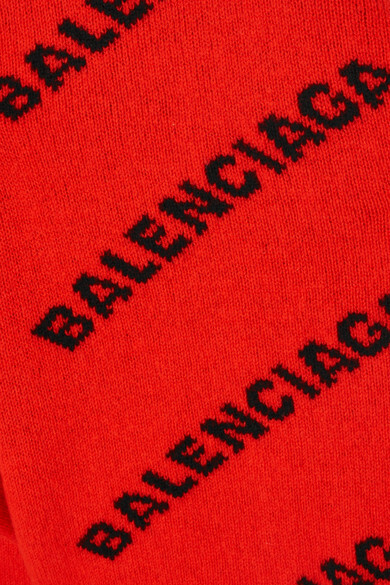 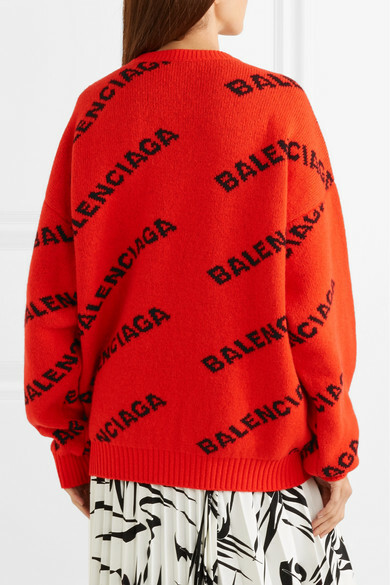 Balenciaga's new logo may be minimal in its design, but it certainly creates a bold statement on this tomato-red and black sweater. 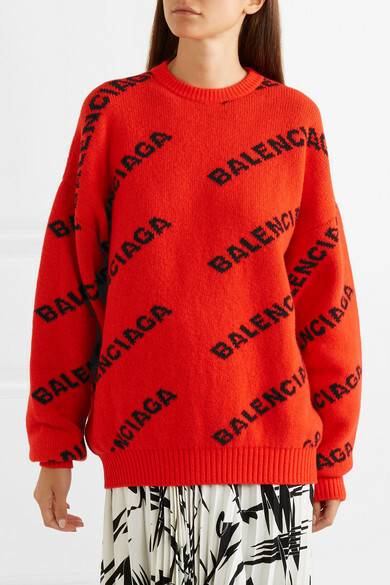 It's been knitted in Italy from a sumptuous wool-blend in a cocooning, oversized shape. 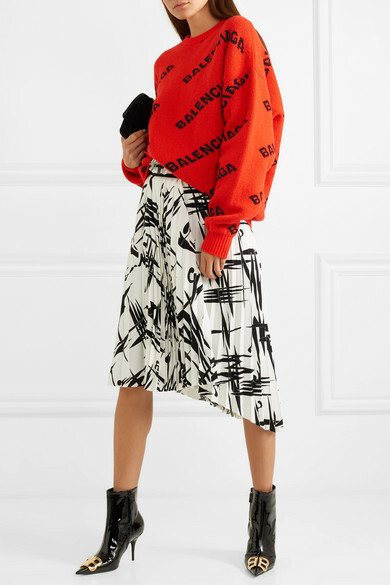 Style yours with the ribbed hem tucked into a pair of skinny jeans.